There it is, your one major flaw: a distorted conception of the impossible. Stout never says Wolfe gave s-f a thought. But what more could you ask? The Latin above may come from the poet Virgil. Literally it’s “And [even] in Arcadia, I am”. 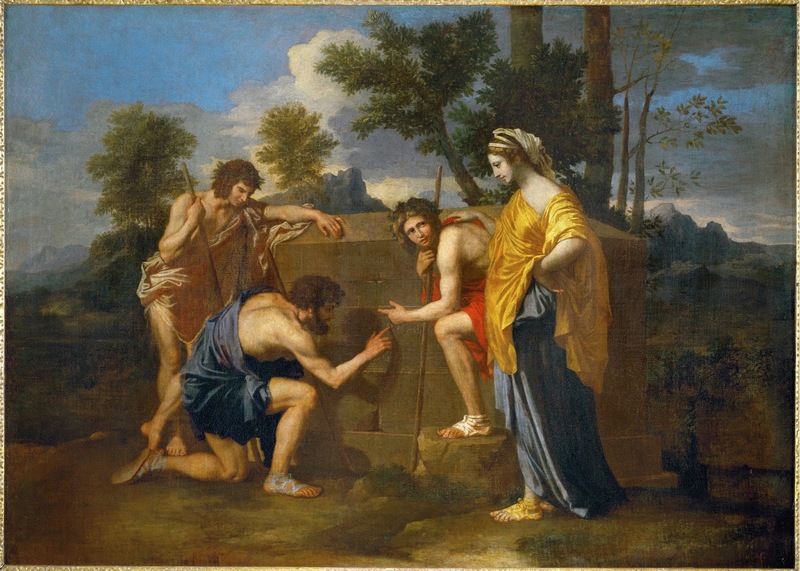 In a painting by Guercino of about 1620 (the cautious say “1618-1622”; computer lovers will recognize my choice) idyllic shepherds find it on a tomb. If you read E. Waugh’s Brideshead Revisited (1945), which I think is worth doing, you’ll find it’s the first part. You can look up “Arcadia”. And you can decide for yourself about the rest. I usually think of Et in Arcadia, Ego, by Nicholas Poissin, which hangs in the Louvre. Love that painting but partly because of all those wacky Holy-Blood-Holy-Grail theories around it. I ate an eggo in Arcadia. SF for sure: that Arcadia skull of Guercino has a bullet hole! MAYNARD: ‘…The Castle of aaarrrrggh’. MAYNARD: Well, that’s what it says. ARTHUR: Look, if he was dying, he wouldn’t bother to carve ‘aarrggh’. He’d just say it! MAYNARD: Well, that’s what’s carved in the rock! GALAHAD: Perhaps he was dictating.